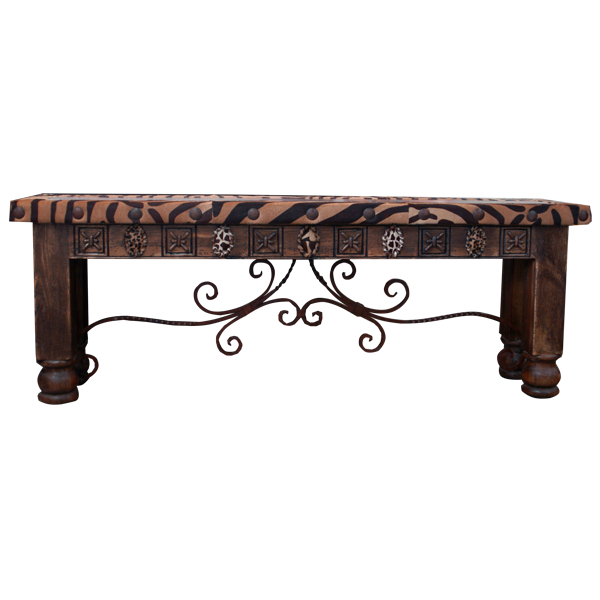 Complement your home décor with the exotic blend of simulated, zebra print cowhide and the hand hammered copper of this handcrafted, Western style console. 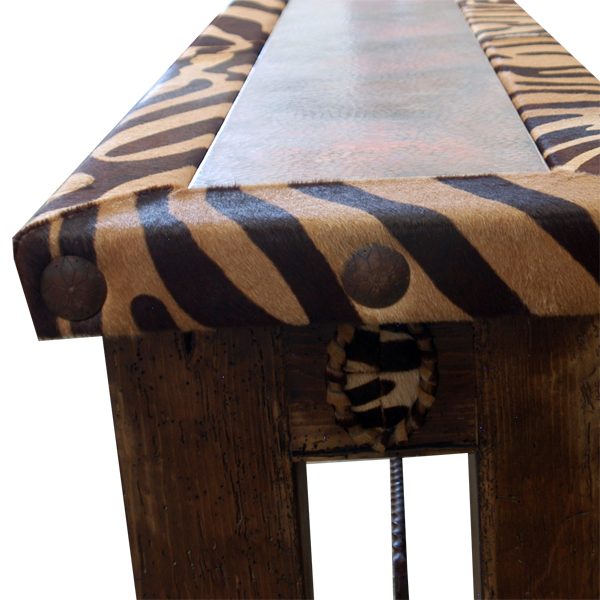 The wide top of the console is partially covered with a rectangular, hand hammered copper panel, and the panel is bordered with simulated, zebra print cowhide. The zebra print cowhide extends to the top rim, and the sides of the top rim are embellished with hand forged, iron conchos intermittently hand tacked to its side. Below the top rim is a hand hammered copper panel, and the panel is adorned with hand tooled copper, geometric designs and details of the zebra print cowhide. The console rest on square cut legs, with hand turned feet, and the legs are connected by spiral, hand forged, iron stretchers. 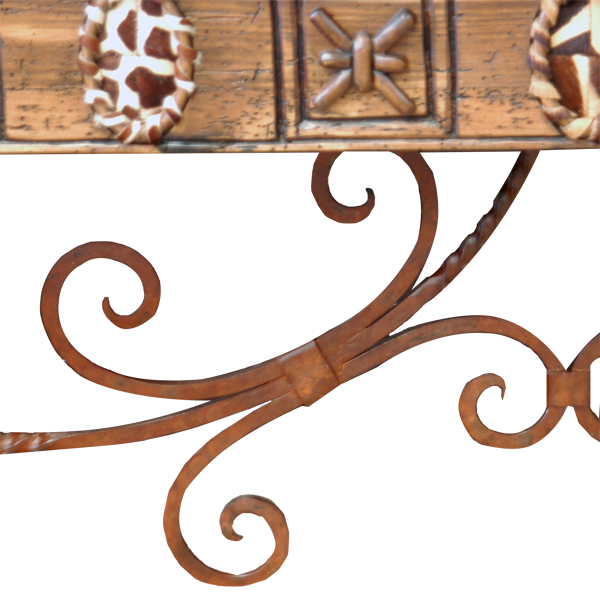 Running through the lower center of the console and connecting the opposing pair of legs are ornate, curved, hand forged iron work. 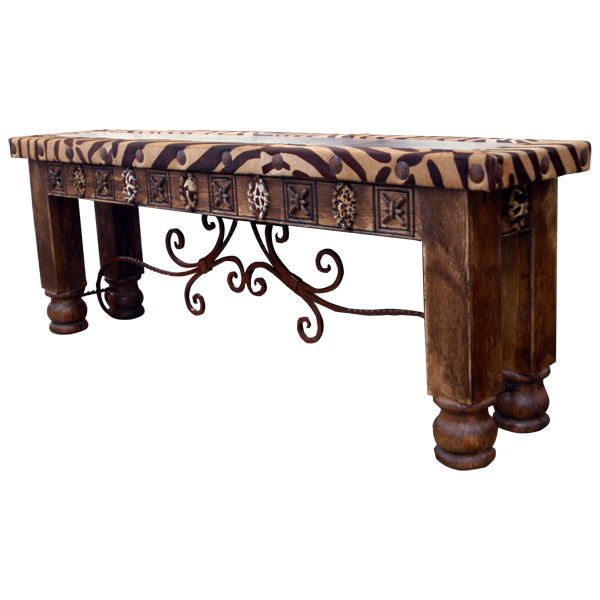 The console is made with the best, sustainable solid wood available, and it is 100% customizable.